University life is an exciting time for students around the world. As undergraduates work hard in their studies and set their hopes for the future, the ICT field continues to expand in countless ways. 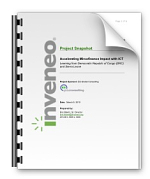 Unfortunately, ICT students around the world don’t have equal access to the same resources. For example, while students in the United States enjoy computer labs and state-of-the-art equipment, students in the DR Congo lack computers and current computer science coding material, making them ill-equipped to market themselves on a global scale. What’s the result? 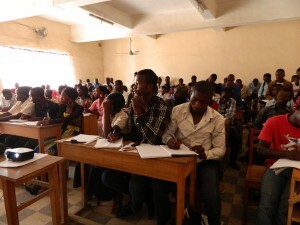 University students in the DR Congo who graduate with a college degree in ICT who rarely worked on computers. But UMCom and Inveneo are working together to change that. 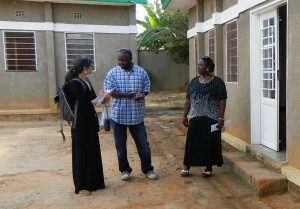 Led by UMCom’s Director of ICT4D Church Initiatives, Rev. 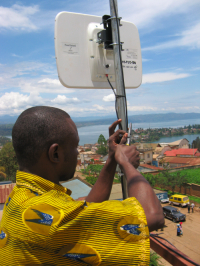 Neelley Hicks has asked Inveneo to setup a server installed and loaded with educational content that students in developing countries can access when they don’t have reliable Internet connectivity. Corbin has found a vast amount of educational material that he feels is reliable and relatable to his own courses he took at UC Berkeley in California. He has worked hard to organize the content by classes, categories, and tags, all to help students in the DR Congo grab what they need efficiently and easily. Going forward, Inveneo’s talented intern Eric Zan will take over the project, continue to download the content, and place it all on a Synology diskstation. 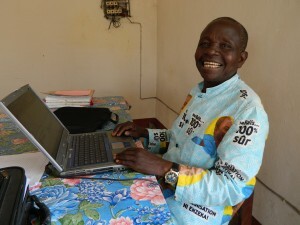 UMCom will eventually take the Synology diskstation and will use it in computer labs they are building in the DR Congo. Inveneo’s long term goals with this project are to give users the ability to select which content they want. In addition, the team is hoping to eventually allow people to contribute or update content as it becomes available. The project will be open sourced so other professors, students, and universities may utilize it in the future. 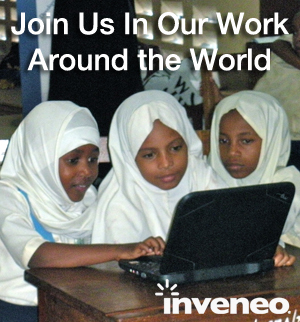 Inveneo and UMCom have enjoyed the combined efforts made in this project, and they are both very excited about how this could positively impact students around the world for years to come!